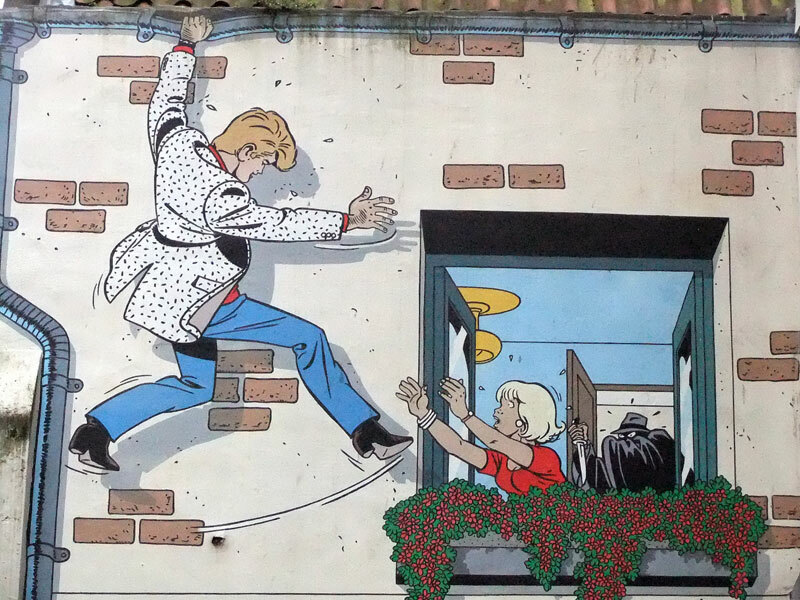 Brussels has one of the few ‘Comics Art Museums’ in the world, and at times the fanciful characters escape the pages of their comic books and can be seen climbing the walls of the city. More of Ailsa’s Travel Theme: Fantastic and also for The Daily Post Weekly Photo Challenge: Wall. So nice, they make the walls so real:) not that the walls are not real:) but they add something . What fun! Gives such depth. There are apparently thirty walls scattered throughout the city with cartoon murals on them – there are walking tours of them all which would be fun! Caught in the act? Too funny. That’s a riot. Terrific capture… in more ways than one!